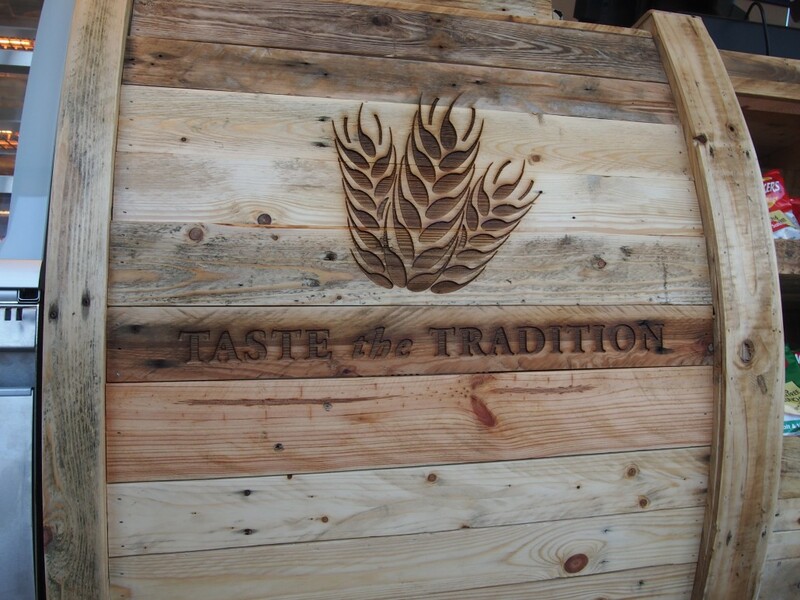 The award winning ‘Fife Steak Bridie’ is now available in Stirling. 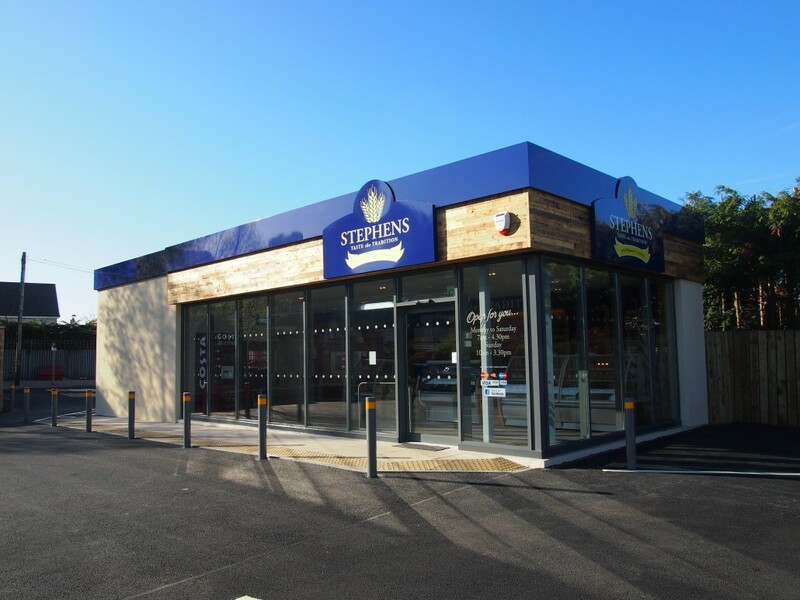 As part of their expansion programme, Wm Stephen (Bakers) have recently opened at Causewayhead, Stirling. ORA were commissioned to convert the former petrol station that has lain empty for years into a new retail unit with associated car parking. 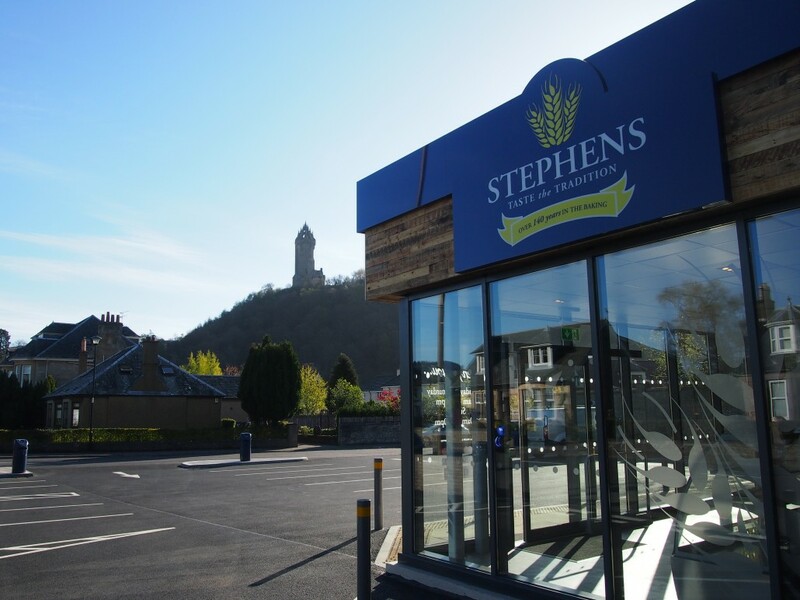 The site is situated on the busy Causewayhead Road and is overlooked by the Wallace Monument. ORA commenced the design at the end of 2014 which allowed work to start on site in the middle of February. The works involved asbestos removal, a strip-out of the old petrol station shop and the erection of a small extension, containing a new disabled toilet. External works were on-going from start to finish with the existing external finishes being grubbed up, new surface applied and the car park extended to the rear of the building. 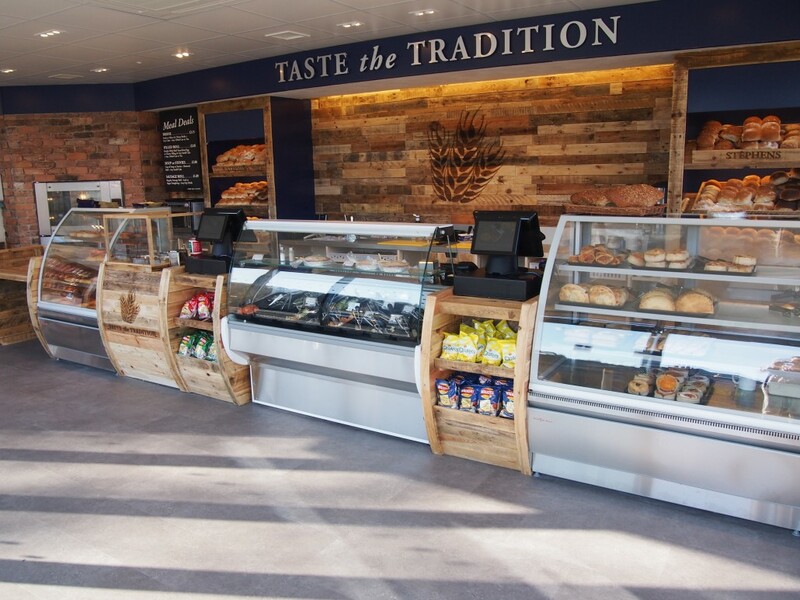 The shop is the first of a new look for Wm Stephen (Bakers), with a more traditional weathered timber look for counters and storage units being used though the identifiable royal blue colour is still present. ORA were responsible for co-ordinating the design of the building, fit-out, signage and new screens.The new shop was formerly opened at the end of April.